Buying a new mattress can be expensive and daunting if you’re not sure what to look for… So I’m going to tell you exactly what I recommend (and don’t recommend) to patients who ask me what type of mattress is best. I’ll also share some additional mattress-buying tips which could save you up to $1,000 or more! The “best” mattress I know of probably isn’t one you’re interested in… That’s because it costs more than most peoples’ cars ($60,000). From there, ultra-premium quality mattresses run anywhere from $4,000 to $15,000. Fortunately a good night’s sleep doesn’t have to be steep. The recommendations I give to people are much more affordable. Before I go into that, I must say that “comfort” is highly subjective. 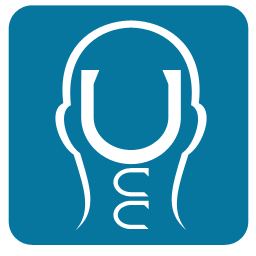 People can be comfortable resting in really cockamamie positions… So the recommendations I’ll make are based on my clinical knowledge of the spine, comments patients have shared with me over the past 12-years, and personal experience. 1. Waterbeds: Good mattresses allow for proper spinal alignment. Sleeping on a giant bag of water that’s always moving can’t do this for you. Waterbeds were actually invented in the late 1800′s to help prevent invalids from getting bedsores. 2. Air Mattresses: I’ve sat through the “pitch” at Select Comfort stores in the mall, and can confirm that the last bed they show you is much more comfortable than the first (sales trick). But at the end of the day, you’re still sleeping on a glorified air mattress. Several patients have complained to me about “Sleep Number” type beds and regret buying them. 3. Pillow Top Mattresses: These seem luxurious at first, but the material inside a “pillow top” is extremely flimsy and can break down in a few weeks. Eventually an indentation forms around where you sleep, and this can compromise spinal alignment. Mattress makers are fully aware of this, so they’ve started sewing a second pillow top on the opposite side of the mattress for you to flip… That’s their way of admitting the problem. It’s a trap, don’t fall for it! 4. Tempur-Pedic Mattresses: I like memory foam, but there are four reasons I wouldn’t buy an entire mattress made out of it. First, the sheer number of patients who’ve complained about the visco-elastic material’s recovery time is alarming. Many describe the problem as feeling like they’re sleeping in a ditch. Second, this photo taken from one of their TV commercials makes me question the company’s understanding of the spine. They claim Tempur-pedic mattresses provide “perfect alignment,” but the blue dots I placed along the model’s spine aren’t aligned at all! The third reason involves the price tag ($1,200-$6,000). Purchasing an off-brand memory foam mattress topper can be just as relaxing for a fraction of the cost ($150 or less). Lastly, it’s because I don’t sleep in Outer Space (these beds were invented in the 1970′s for astronauts). First, determine if you really need a new mattress. If your current bed doesn’t dip or sag, you can save a lot of money by adding a high quality memory foam mattress topper. Be careful though, people make two mistakes when buying these. The first is buying the thickest topper they find. Since these are sold in different sizes (from 1.5-inches to 6-inches), it’s tempting to assume that 6″ is best… but it’s not! The second mistake is buying the toppers conveniently sold at Walmart, Target, and Bed Bath & Beyond. Save your money; these toppers are over-priced and wear out very quickly. Density is more important than thickness. Every topper comes with three measurements: Size, thickness, and density. Pick the size you want (twin, queen, king), then buy the heaviest density you can afford. The denser the memory foam is, the longer it will last and the more resistant it is to wear-and-tear. Quality toppers can last for 3-4 years. Cheap ones won’t even make it 3-4 months! A good rule-of-thumb is you want the density weight to be greater than thickness. Toppers that are 4″ thick with 2-lbs of density aren’t nearly as good as a 2″ topper with 4-lbs of density. I recommend buying a 2-3″ pad, with 4+ pound density. Anything higher than that runs the risk of being too thick. Full memory foam mattresses are typically 6-8″ of pure memory foam, but that’s what creates the “sleeping in a ditch” effect I mentioned earlier. If this sounds confusing, don’t sweat it. Here’s the kind I have at home. Doing this can delay the immediate need to buy a brand new bed, so try it before embarking on a mattress mission. If you’re on a tight budget, don’t assume you have to spend $600+ dollars on a mattress. When sawed in half, there’s not a significant difference between $300 and $600 mattresses. The $600 options probably have a pillow top and more touch-friendly fabric… but the “bones” of the bed will be eerily similar. So you’re not missing much if you wish to purchase a “wallet-friendly” mattress. Now, if you’re willing and able to spend more money on a higher quality mattress, take a look at Simmons Beautyrest. They’re very well-built and reasonably priced. I like them because they offer the right amount of firmness without being stiff, are surprisingly heavy, and promote healthy spinal alignment. Here’s the kind I have at home. Mattress Buying Tip #1: When purchasing a bed, the last person you want advice from is the guy hoping you buy it. Peer through the window of a free-standing mattress store and you’ll quickly notice that these are relatively low-volume businesses. Salesmen might work an entire shift and not have a single customer. So when someone does walk through the door, it’s “do-or-die” time. They have mouths to feed and might desperately need that sale! Mattress Buying Tip #2: Standard bed construction isn’t nearly as complex or intricate as the price tag indicates. I’ve spent time with manufacturers who build beds from scratch and they’ll be the first to tell you (if they’re being honest) how unsophisticated bed-building is… So remember this when you’re ready to buy. Consider going directly to a local mattress maker instead of an overpriced chain store. Skipping the middle-man can save you a nice chunk of change. Mattress Buying Tip #3: Depending on where you live, it’s possible to find $1,000+ beds at discount mattress stores on clearance for as little as $200 if you know where to look and how to sniff out bargains. 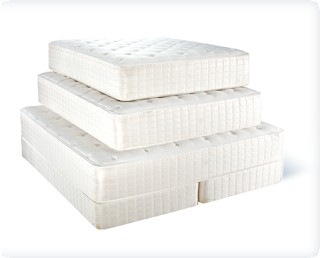 Mattress Buying Tip #4: Prices are negotiable. Buying a bed is like buying a car… Don’t pay sticker price! The mark-up varies between different models and manufacturers, but these bedding stores need to move their inventory. It’s not a flea market, but you certainly have the right to make them an offer. They might say no, but they could also say yes! Mattress Buying Tip #5: If you’re waking up with back or neck pain, it might not be your mattress that needs replacing. Your pillow or your sleep position could be the culprit. In either case, if you’ve never had your spine checked, I recommend you consult with an upper cervical doctor. Even a $60,000 Hasten’s bed can’t fix a misaligned spine. I am sure that it is useful for all patients. Which is suffering the back pain. You have provided us with great information of the mattresses and it's good to know that you care for patients. Your bedding features are wonderful and provided more relax. Thank you so much for all of this great information. My mattress was extremely old and I got a new one. I slept a lot better. I also followed you advice about trying out different kinds of pillows. That also helped a ton! Thanks! You are very welcome Moe! Your recommendation and tips are very helpful to those who are wanting to buy a comfortable mattress. Thanks a lot for your health pointers! Love your tips, these influenced my decision in buying mattresses.Thanks. Thanks for sharing these useful tips of mattress . It is going to helpful for the people who are going to buy a new mattress. i love the article. i do love reading it specially its very informative and i have learned a lot from your post.. I'm so happy with your blog site, it contains all the matter with regards to mattress Good luck to you and your well performed job. Thanks for keeping us updated with the latest information for mattress. I'll follow your tips;these are the ones I'm looking for. i like the content of this blog. your blog is just an awesome blog. Nice collection of words you have. Thanks for the comment John. Anything you have that may be helpful or a resource to people is okay to post in a comment. I just do not want people to use the comment section as a way to drum up business for themselves. I want it to be about helping others. Go to the subscribe to the blog section on the left side bar click on posts and then atom and it should let you at that point add it to your rss reader. Let me know if you have any other trouble. Interesting post! There is a lot of information in this post to take note of and also to keep things in perspective. You really need to get good night's sleep to get up fresh in the morning so that you are replenished with your energies and ready for the next day's work. And which type of mattress you use has a lot to say in how well you sleep.